In the process of designing a system for permanent stainless steel cathodes, it is necessary to ensure that optimum electrowinning conditions can be achieved and controlled. During commissioning and operation, the control of electrowinning conditions and maintenance of operational standards are important. 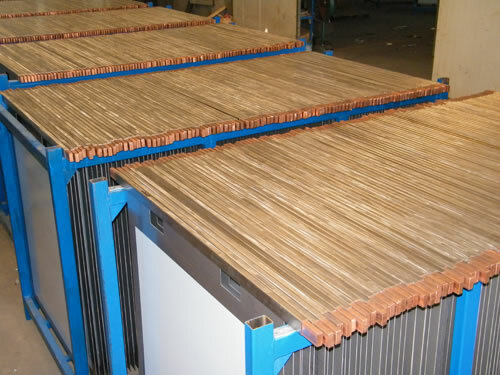 Stainless steel cathodes are designed to last the life of the project. 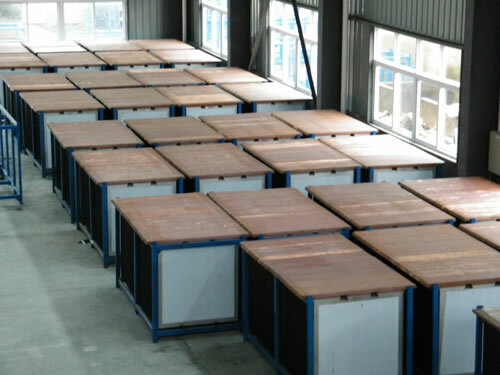 They are widely used in Zn/Cu/Ni electrowinning both at home and abroad. This cathode has excellent electric performance and good mechanical property. We use wooden boxes to avoid deformation during transportation. 1. The conductive rod uses 304 stainless steel molding featured with good strength and rigidity. 2. 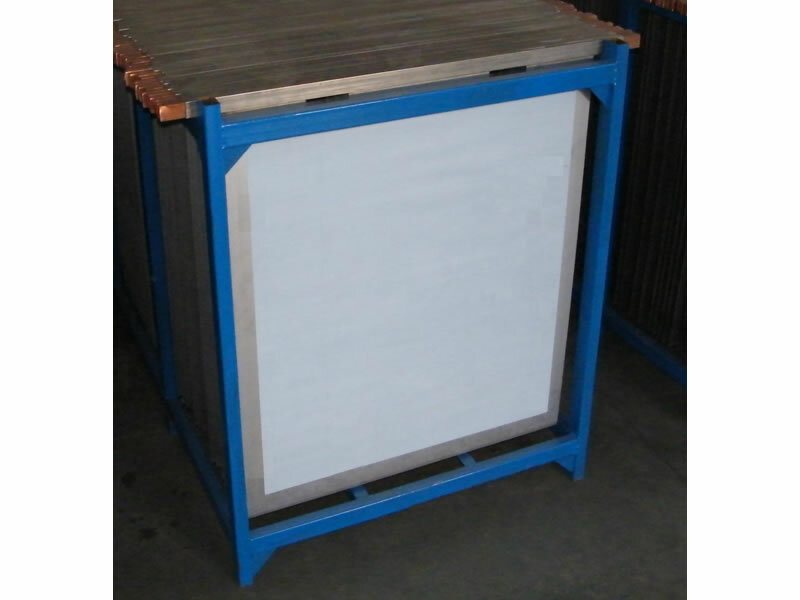 Our stainless steel cathodes adopt special surface treatment. 3. "V"groove at the bottom is designed contributing to an easy Cu peeling. 4. It has a long service life, at least 10 to 15 years. 5. The performance of edge clip bar was stable which can decrease the cost. 6. CORROCO stainless steel cathode is featured with low maintenance and efficient energy. Corroco International Industrial Co., Ltd is a professional manufacturer and supplier of stainless steel cathode in China. 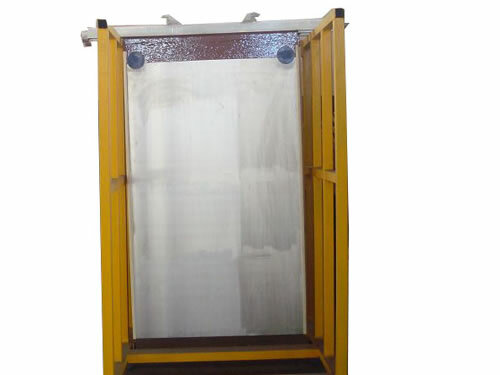 In addition to this steel cathode, we also produce anode rod for water heater, lead anode, aluminum cathode, hydrometallurgical equipment, metallurgy technology and engineering, etc. Based on 12 years' production experience, our products have been exported to the United States, Canada, Britain, Germany, Iran, Pakistan, India, Kuwait, Dubai, Saudi Arabia, the Philippines, Malaysia, Singapore, Congo, Turkey, etc.